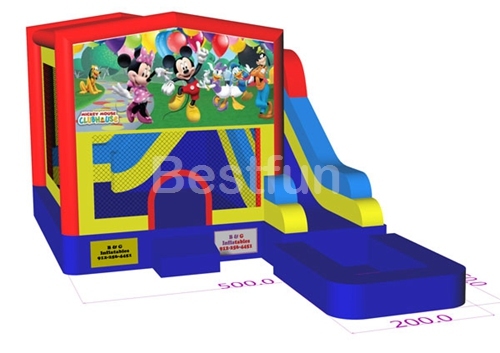 Do not need to go to Disneyland, you can make your kis happy in home!!! 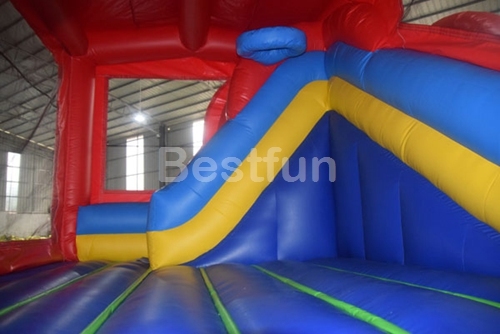 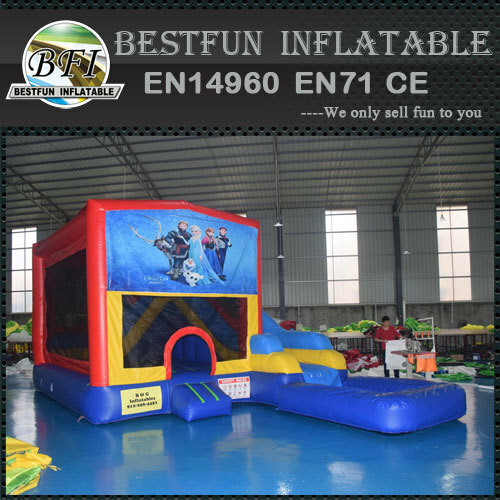 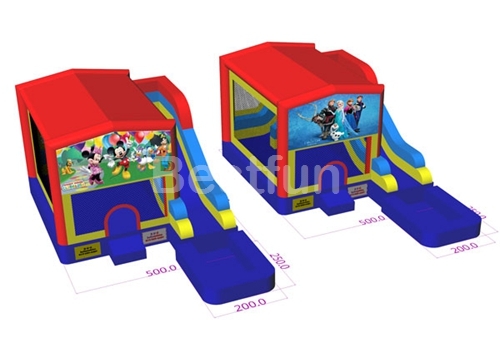 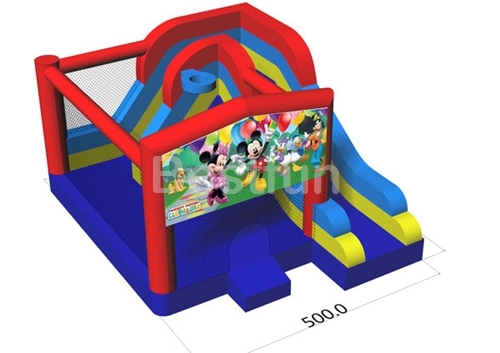 This inflatable bouncer can use for water, we design a changable pool for it, you can just use as a slide or with a pool. 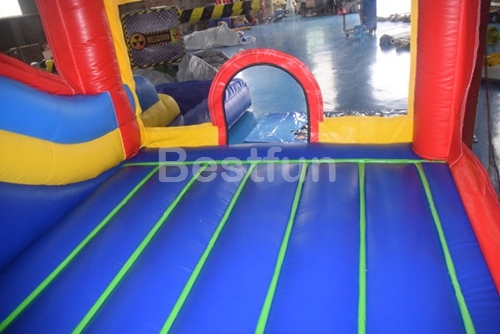 Well, kids also can play the basketball inside, we make a hoop inside that kids can play without just bounce.